If you’re preparing your wardrobe for summer, then there’s sure to be room for a pair of women’s canvas shoes like these ones. Light in weight, and even lighter in colour, they’ll allow your feet to breathe while protecting them against the sunshine. 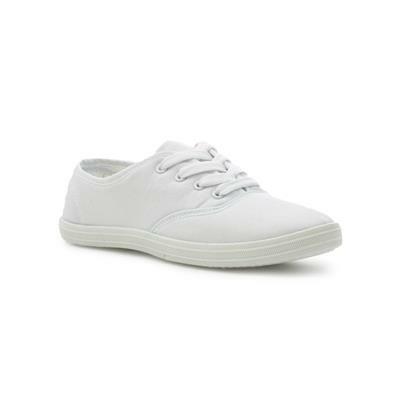 These women’s white canvas shoes come with a lace-up fastening, with four pairs of parallel eyelets offering the snuggest possible fit. The laces can be replaced every so often to preserve the looks and functionality of the shoe. For optimal comfort, the interior lining of these shoes is padded, and the insole is cushioned. The flat sole uses a chevron pattern to provide a light grip. Every part of this shoe, from the upper to the laces to the interior to the sole, is a perfectly clean white. If you’re planning a visit to a sunnier part of the world, therefore, they’re certain to make a fantastic companion – but even if you’re just planning to enjoy them in your garden, you’ll be able to do so Those pesky grass stains shouldn’t be too much of a problem, provided that you’re cautious. If you’re looking for a faithful reproduction of a classic, no-fuss formula, then look no further! As with all the products available on this site, this shoe offers great affordability without compromising on build quality. And, what’s more, you can have them delivered directly to your door for free! I love these shows! Quick delivery, excellent customer service and perfect condition given the cheap price. Would highly recommend! Just right as a casual go with anything light weight shoe. Exceptional quality for the price and fit perfectly. Super speedy delivery and well packed .. happy. Comfy and fit well. True to size. 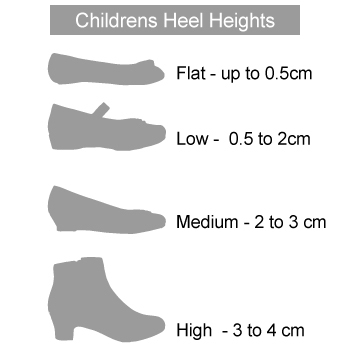 Good fit,comfortable,great price and fast postage-would recommend shoe zone! 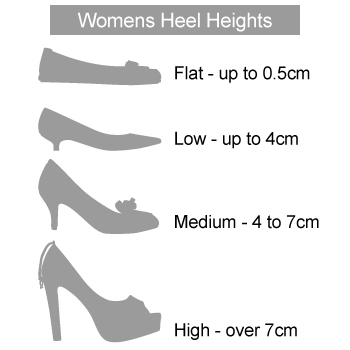 These pumps are great for the summer- they are really comfortable & a good price to match.